“I have thoroughly enjoyed working with Jamie over a number of years. He is an expert in Social Enterprise and was my key contact during my early days supporting social entrepreneurs. His personality and wide knowledge has meant that he was always favoured as a mentor by our students and made it easy for us to make referrals to him at The University of Sheffield. We often made bookings for those looking to learn more about marketing, sales, and the creation of social impact. “Alongside 1:1 business support, Jamie has also created unique workshop content that he tailored very effectively to the needs of our visiting MBA students from South Korea. He is incredibly professional, reliable and a fantastic workshop facilitator. Darren Chouings, Project Manager (Entrepreneurship), The University of Sheffield and Chair, Sheffield Social Enterprise Network. “Jamie anchored a seminar for our customers and guests. Did so very professionally and was fully prepared and planned for the session. As such the session was a great success.” David Mathieson, Barclays Bank plc. “We are delighted that we asked Jamie to host/ anchor this event. He skillfully linked the audience to the panellists very professionally, encouraging 2-way engagement. Jamie also showed an understanding of what the panellists do in their business life which made him a well-informed host. Without doubt we would want to use this format for future business events.” Jim Lawson, Wosskow Brown Solicitors. “After a very brief phone call with Jamie, the copywriting for our website was carried out quickly and to my complete satisfaction. I would not hesitate to recommend him.” Well known Sheffield business – proof of testimonial available on request. Patrick Redmond, Leek Chamber of Trade and Commerce. “Jamie provided a great deal of expertise; he was also extremely patient waiting for information from me! Highly professional but also really relaxed. Would definitely use Jamie again and would highly recommend.” Val Jones, Chief Executive, Social Enterprise North West. 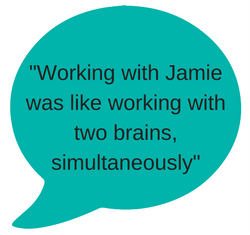 “I love working with Jamie, he is really open to fresh ideas and really helps to make them come alive with clarity and results!” Chrissie Slater, Director of Opportunities, Camberwell Project Ltd.
“What I admire most about Jamie is his unwavering determination to do what is right, rather than what is often easier. Jamie is a passionate social entrepreneur and experienced facilitator, able to deal with whatever challenges come his way. He’s also excellent company . . . . . . . and a pleasure to do business with. I’d happily recommend him to anyone.” Robert Ashton, best-selling business author. 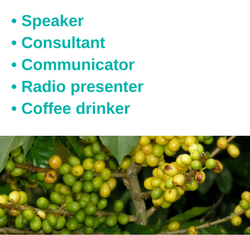 Please, get in touch to talk about your project or coaching needs and whether I may be able to help. And don’t forget to ask for RHITA!